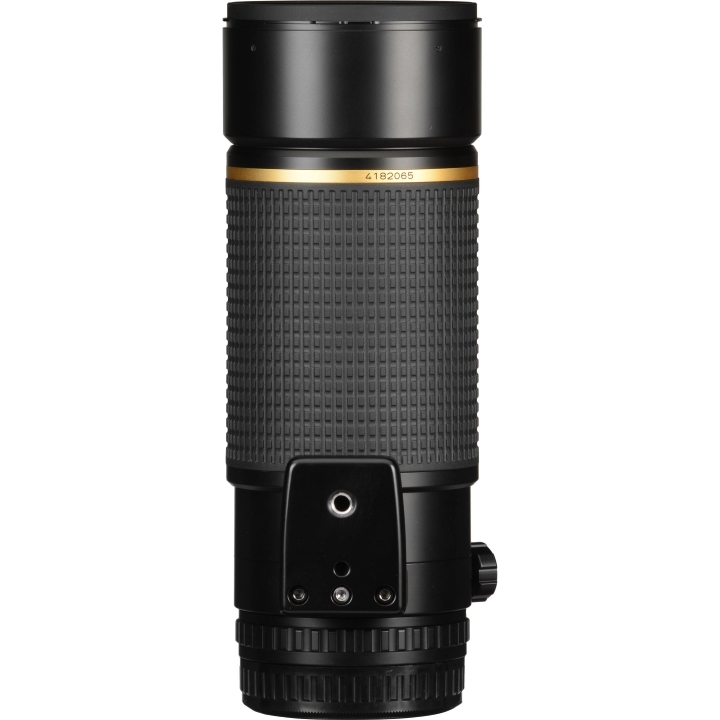 This medium-format, manual, autofocusing telephoto prime lens assists with creating high-contrast, clear images, all while reducing extension when focusing. 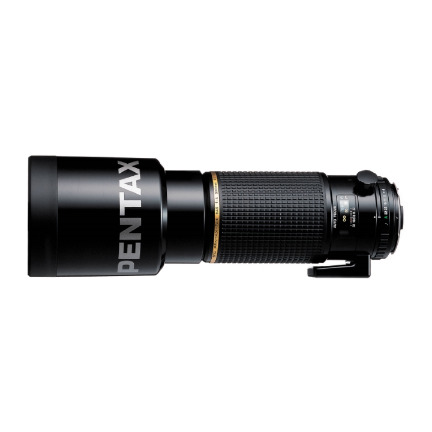 PENTAX's Super Multi Coating was added to the surface to create sharp photographs, while Extra-low Dispersion (ED) elements reduce chromatic aberrations to enhance quality. 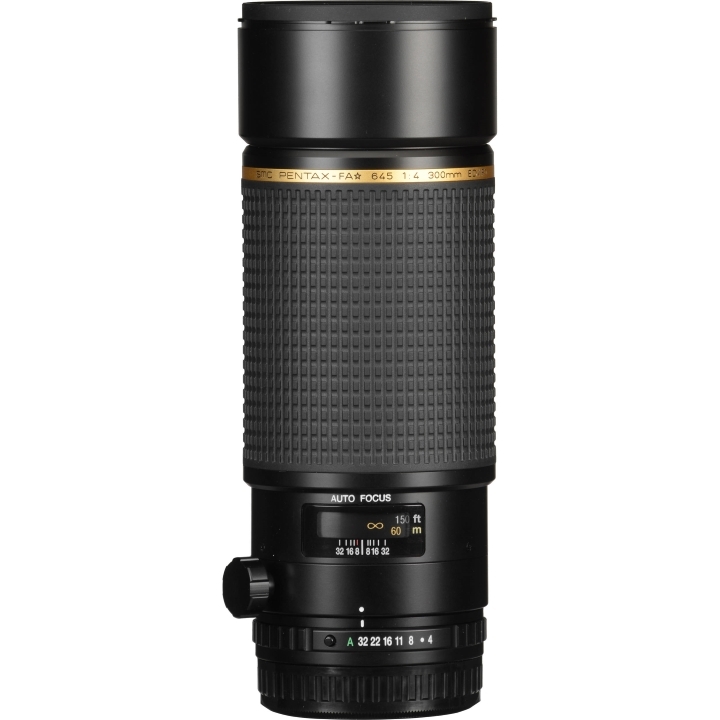 Inner Focus (IF) functionality decreases lens extension during focusing, allowing for improved balance, smoother focus ring operation, and a closer minimum focus distance. When combined with the PENTAX 645Z & 645D, users can experience breathtaking resolutions with stunning sharpness and clarity. 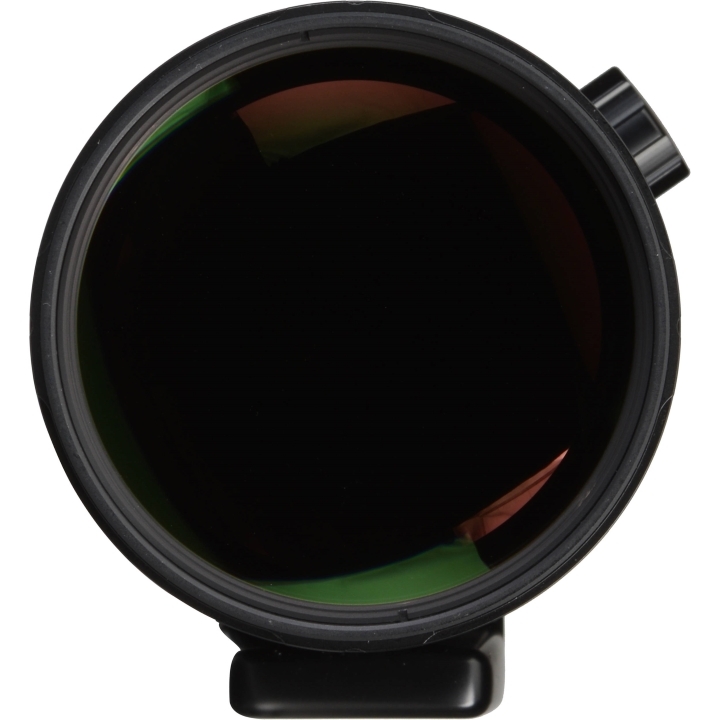 The AF/MF operation can be performed quickly by simply sliding the entire focus ring forward or backward, while the manual focus operation can easily be altered after AF to allow for fine focus adjustments. 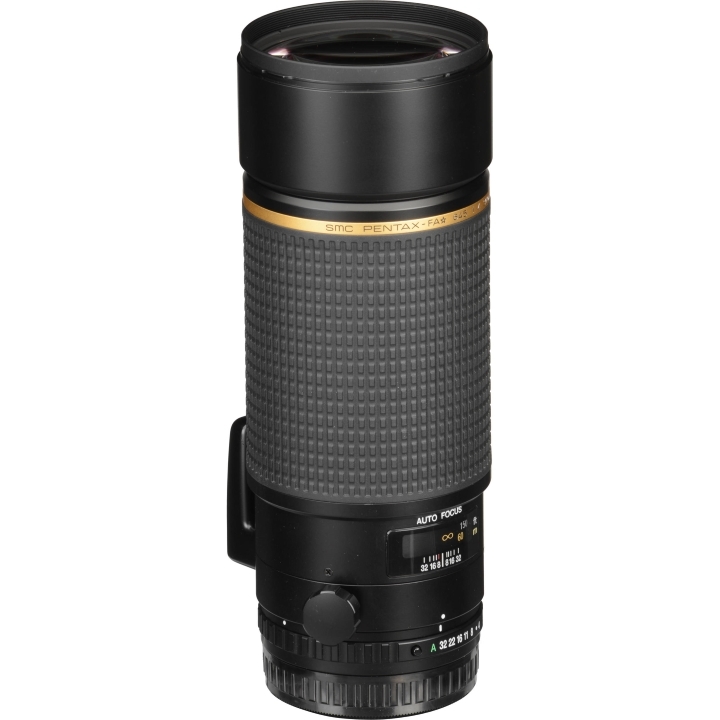 Features a compact f/5.6 aperture and lens developed with computer-assisted optical design technology for a higher degree of precision.